anyways, i got the loot from MHEAN yesterday and i was so excited that i ripped the plastic off! X was laughing at me coz i even used my teeth to get rid of the tape that covered the items. hehehe...that's how excited i was! 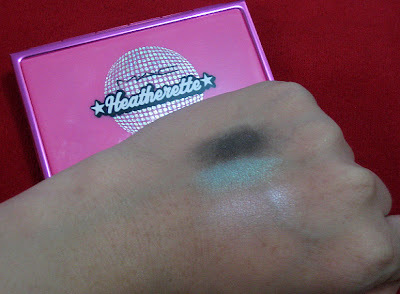 eye crease brush, l'oreal elseve hair serum and (drumroll)....Heatherette Trio 1! 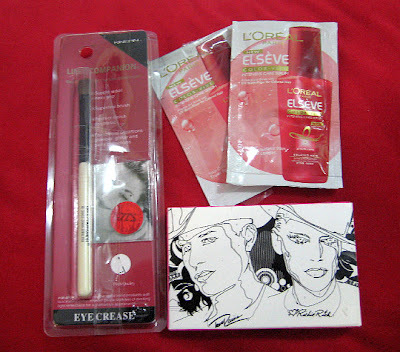 thanks sis for the generous freebies! X asked me if i'm going to depot them as well...hell no! Wow! 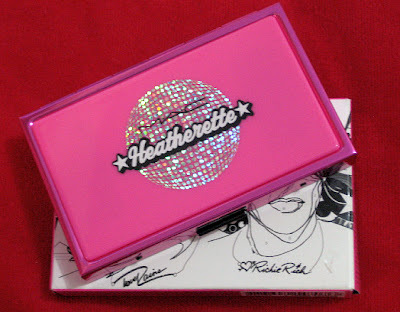 Heatherette Trio! Mr. X is funny ha ha ha! Just like my boyfriend... He keeps teasing me about using a tool box as make make up train case. hahaha X calls my traincase a tool box too! silly men! glad you love it Jheng! me want trio2 too! ugh, Heatherette please come na! lol.